Captain America: Civil War is not about unmasking and secret identities. There is no Registration Act. There is "Accords", a global move to govern the superheroes. After the events of Avengers: Age of Ultron many of the world's governments are concerned about a unilateral super-powered strike force that answers to no one now that SHIELD has been destroyed. 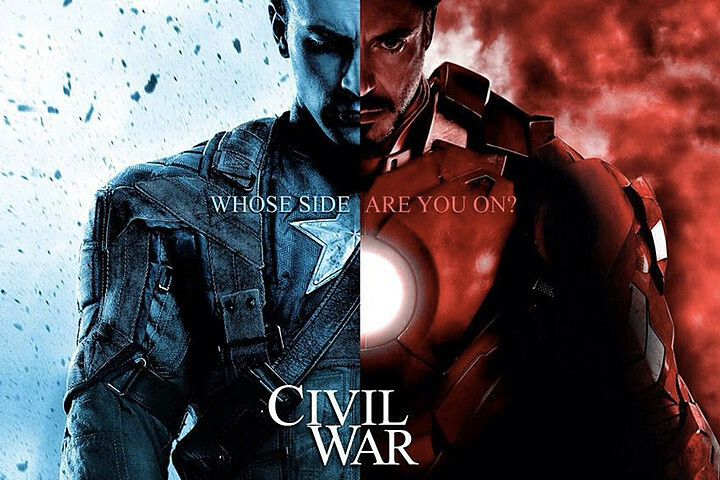 The divide between Captain America and Iron Man can be boiled down to the famous quote: "Who watches the watchmen?" It's similar in some ways to the story of the comic Civil War. The main difference is that there are almost no characters in the Marvel Cinematic Universe with secret identities, rendering any registration plot pointless. This isn't going to be a movie where Cap and Iron Man fight over whether Daredevil and Spider-Man get to maintain their secret IDs. It's a larger question of responsibility, and to whom these heroes answer. It cuts both ways - who is responsible when the Avengers get into a battle that causes civilian casualties... but also can the Avengers be told by a world governing body not to get involved in a terrible situation where lives are at risk simply because the local government says to stay out? Should superheroes be free to do as they please or should they be bound by the constant changing winds of politics? It's a rich conflict where both sides are potentially right. It's a conflict that grows out of the two characters: Tony Stark who has become increasingly aware of his responsibility to the world and Steve Rogers who has seen everything he believed in undermined when SHIELD was revealed to be a Hydra front. Now moving on from the plot details, it seems the Hulk has been cut out of Civil War. During a interview by badtaste.it, it was revealed that Hulk, played by Mark Ruffalo, has been cut from the movie for a yet-unknown reason. "The reason is too great to be revealed in this movie. I was in the script but then they removed my character. They don't want to reveal where is he and why. I don't even know if Hulk will be back soon." Captain America: Civil War, directed by the Russo brothers Anthony and Joe, will be a battle between team Captain America and team Iron Man, who lead their divided organization amid new legislation regulating superhuman operations, specifically the Avengers. The story happens after the catastrophic events in "Avengers: Age of Ultron"